What does a single-elimination, tournament bracket look like that’s one team short of ten teams? 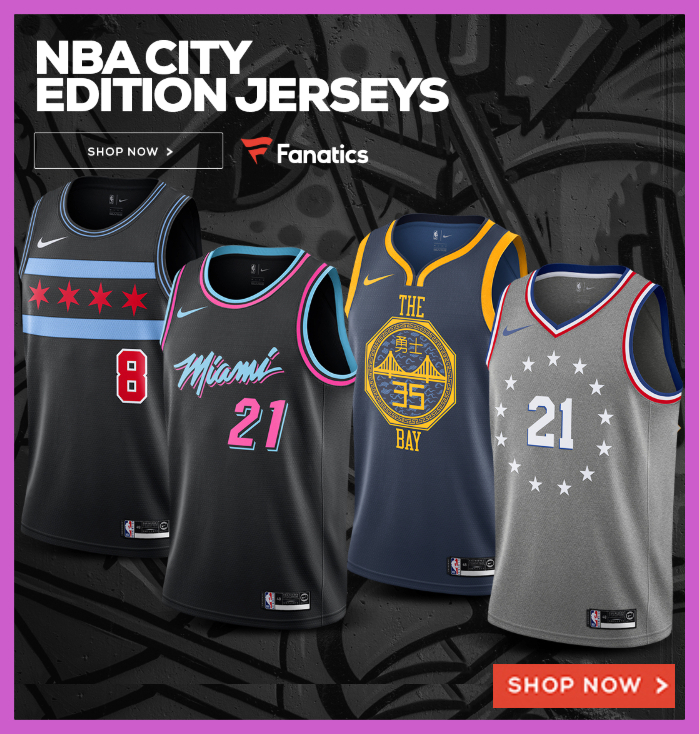 You’ll need a 9-team tournament template that you can print out for all the teams as well as their friends and family so that every fan can follow the tournament and see the high-level view of the entire tourney field. 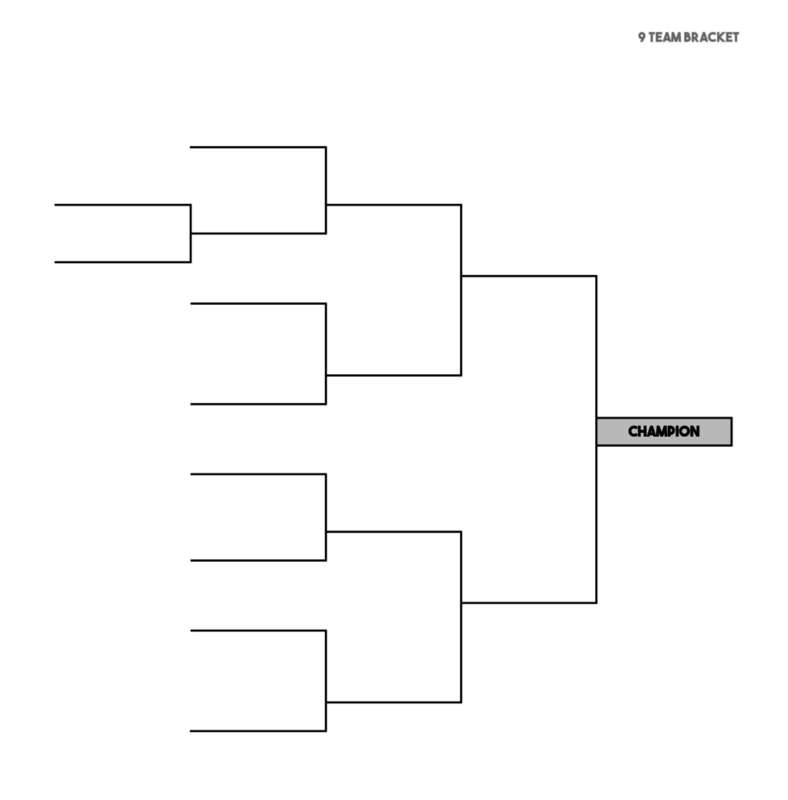 Our 9-team brackets are printer-ready and come in a couple of printable formats and layouts. The usual 9-team brackets will have four rounds of games that comes down to single champion. In order to make the tournament move smoothly, there’s one play-in game. The lowest seed will have a play-in game and the winner will end up playing the top #1 seed. 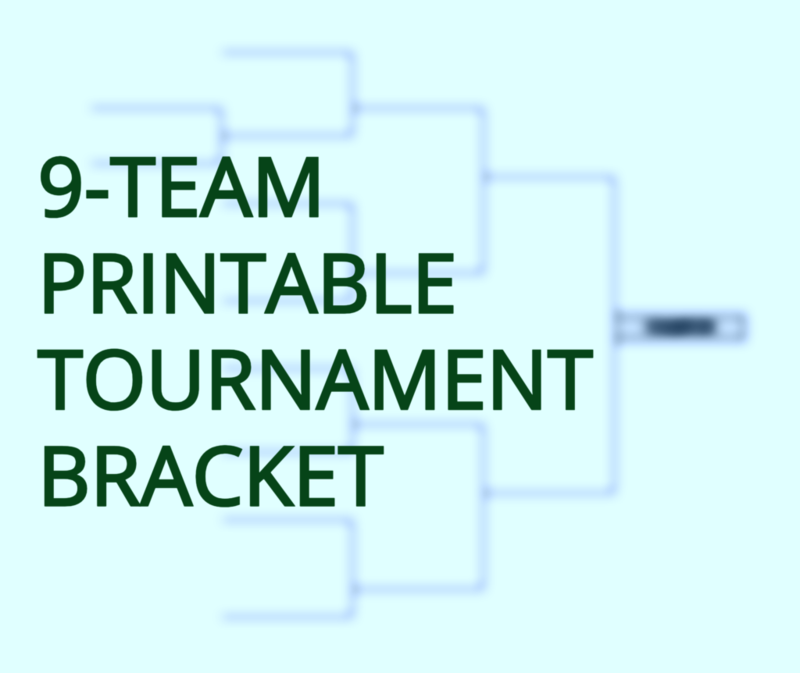 Our single-elimination nine team tournament bracket allows you to download the bracket in a document format (in landscape) that’s simple to print out and fill in everything you need. To download the printable PDF version of our 9-team bracket, click here. To download any our our brackets especially our PDF, download the latest Adobe Reader software is up to date so you won’t have problems with our tournament bracket. If you’re into editing and personalizing the bracket to your specific tournament details, like adding in seeds, teams or logos, dates and times, and locations then please download the Microsoft Excel bracket to properly edit and fill in your tournament’s information.